Your pets deserve a vacation too! Don't leave your four-legged friend behind. We offer many wonderful pet-friendly vacation rentals along the Gulf Coast. We understand that pets are part of the family and an important part of your trip, so we do our best to offer vacation rentals that offer amenities to help accommodate your pet's needs! There are off-leash dog parks in Gulf Shores and Orange Beach as well as multiple animal hospitals and pet stores that serve the surrounding community. 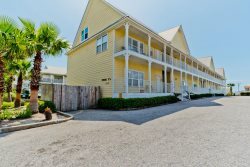 Check out all of our Gulf Shores pet-friendly rentals below. Certain size limits apply to some homes. Feel free to contact us about your pet and we will see if we can get an approval. Don't forget to check out our Pets On Vacation photos too!